Great job Celeste!!! I love the color, I'm sure her friend will love it. 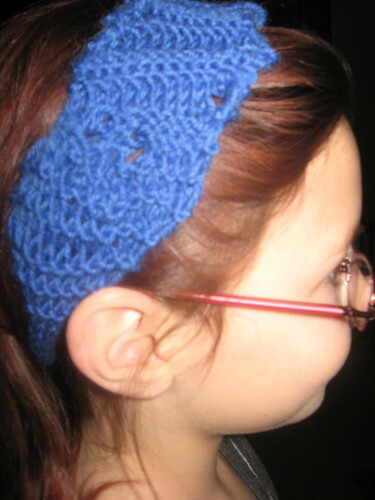 Now she's making headbands, soon she'll be making sweaters! I'm super jealous of Celeste. All I can make is a scarf. Good job on the headband! [/b]Way to Go!! this is so great!! Fantastic! A great color too! That is so cute! She's going to make hats and gloves and scarves and sweaters and etc. in no time! Good job!!! That is great, cool to see kids who want to craft! That rocks! She looks so cute. ooo, way to go celeste! you rock!